Christopher Durang’s hilarious comedy about disparate siblings won the 2013 Tony Award for Best Play. 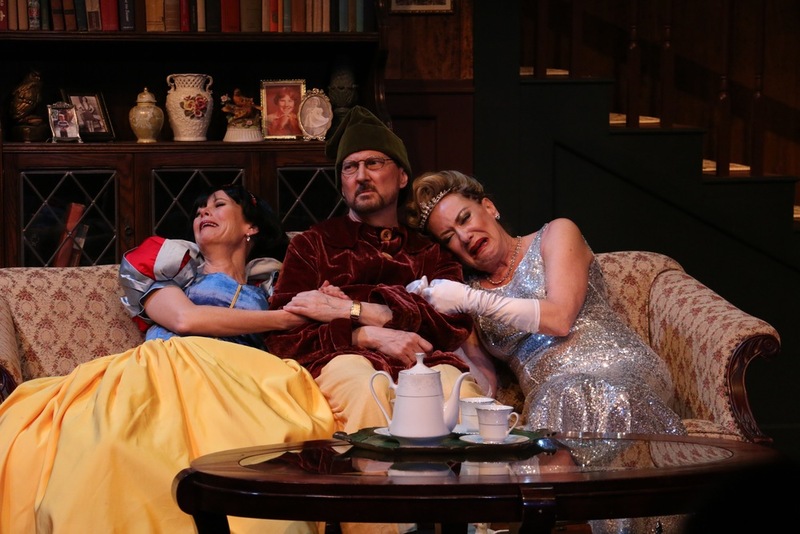 Set in Bucks County, Pennsylvania, Vanya and Sonia’s quiet life at their family’s farmhouse is shattered when Masha, their Hollywood star sister, arrives with her boy-toy, Spike, for an unforgettable weekend of absurdist amusement. Inspired by characters and themes of Anton Chekhov, Vanya and Sonia and Masha and Spike exhibits a dysfunctional family reunion you won’t soon forget! 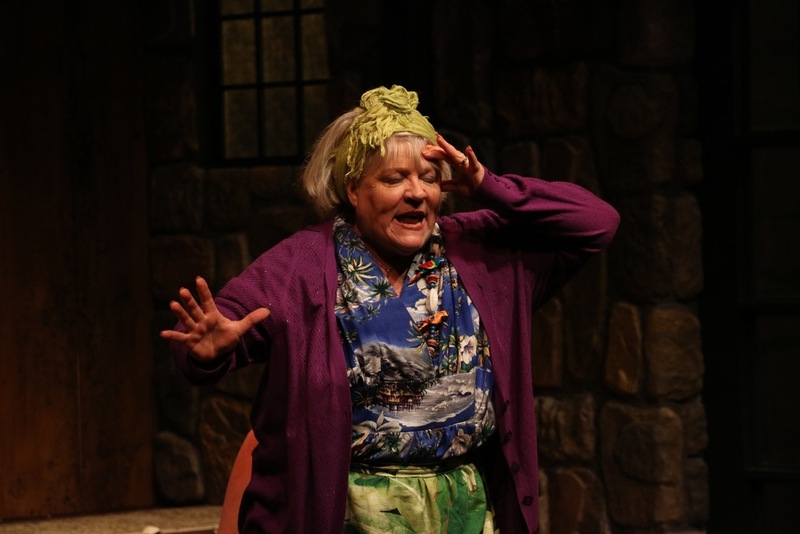 Kathel Carlson* (Cassandra) has played such roles as Ado Annie in Oklahoma!, Sally Bowles in Cabaret, Agnes in I Do, I Do!, the title role in The Unsinkable Molly Brown!, Winifred in Once Upon A Mattress!, Sister Robert Ann in Nunsense!, Ann Collier in The 1940's Radio Hour, and Martha in Who's Afraid Of Virginia Woolf? in a variety of summer stock, regional, and dinner theatres, and made her Broadway debut in the revival of Good News! with Alice Faye and John Payne. She has made over one hundred television commercials selling everything from Pampers to Dr. Pepper (the last of which earned a CLIO Award, and is in the Museum of Radio and Television!). Recently Kathel has played Miss Poppenghul in Moonlight And Magnolias, Myra in Regrets Only, and Berthe in Boeing Boeing at Riverside Theatre and the Cape Playhouse in Dennis, MA., as well as Mrs Tottendale in The Drowsy Chaperone at Music Theatre of Wichita and The Surflight Theatre. Kathel is a member of the Ridgewood Art Institute, and has paintings in several private collections. Susan Cella* (Sonia) is thrilled to return to the Riverside Theatre, having previously played Mrs. Brice in Funny Girl and Madame Dubonnet in The Boy Friend. BROADWAY: The Graduate (Mrs. Robinson, understudied and performed); Crazy He Calls Me; Me and My Girl (opposite Robert Lindsay and Jim Dale); Evita (Eva, understudied and performed); On the Twentieth Century; and Allegro and Lady in the Dark for ENCORES. NATIONAL TOURS: Fiddler on the Roof (opposite Theodore Bikel, Topol, and Harvey Fierstein); Hairspray; 42nd Street; La Cage aux Folles; Me and My Girl (opposite Tim Curry); and Can Can (standby for Chita Rivera). REGIONAL THEATRES include: Williamstown, Huntington Theatre Company, Arizona Theatre Company, St. Louis Rep, Old Globe, Walnut Street Theatre, Denver Center, Pittsburgh Public, Portland Center Stage, Maltz Jupiter Theatre, Hanger Theatre, Fulton Theatre, Playmakers' Rep, St. Louis MUNY, Helen Hayes PAC, Cape Playhouse, Maine State Music Theatre, North Shore Music Theatre, Ogonquit Theatre, Paper Mill Playhouse, and eight productions at Pittsburgh CLO. FILM & TV: "Person of Interest"; "Law and Order" (2 episodes); "The Sopranos"; "Hi Honey I'm Home" (series regular); "All My Children"; "Tavern on Jane"; "The Astronaut's Wife"; and "Follies" and "A Sondheim Celebration" for PBS. Thank you Jimmy and Allen. Warren Kelley* (Vanya) Warren resides in NYC, works in television, film, and is a veteran of more than 200 productions in regional theatres around the country. 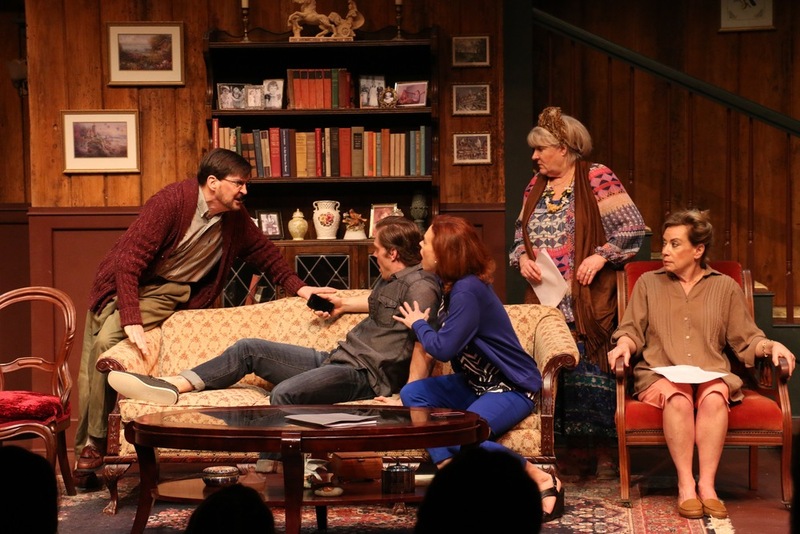 Traversing between the classics, contemporary plays and musical theatre, Riverside audiences have seen Warren in everything from SLEUTH and ART to David O. Selznick in MOONLIGHT AND MAGNOLIAS and Roger De Bris in THE PRODUCERS. At such theatres as Actors Theatre of Louisville, Walnut Street, Goodspeed, Orlando Shakespeare, Arrow Rock Lyceum, and The Fulton he has played starring roles in: TO KILL A MOCKINGBIRD, OLIVER, MY FAIR LADY, THE FOREIGNER, BLITHE SPIRIT, A LITTLE NIGHT MUSIC, and INHERIT THE WIND. TV/Film appearances: BLUE BLOODS, BOARDWALK EMPIRE, LAW & ORDER: SVU, THE BLACKLIST, THE OTHER GUYS with Will Ferrel, the newly released 10,000 SAINTS with Ethan Hawke, and Academy Award winning BIRDMAN with Michael Keaton. Morgan is thrilled to be making her Riverside Theatre debut. Regional: Vanya and Sonia and Masha and Spike (Nina). Favorite Roles: Anything Goes (Hope Harcourt), Into The Woods (Little Red), The Fifteen Minute Hamlet (Ophelia). She is a recent graduate from Texas State University - BFA in Musical Theatre. A special thanks goes to her loving and supportive family. Brian Ogilvie* (Spike) is so excited to return to the Riverside, where he previously appeared in Funny Girl and this season’s Swinging on a Star. He is ecstatic to be working on this fantastic play with this fantastic director and cast. Broadway shows: Gigi, starring Vanessa Hudgens and Mary Poppins where understudied Bert and Robertson Ay. Other credits include the title character in Tarzan (Arvada), Zach in A Chorus Line (Maltz Jupiter), Buzz in South Pacific (Papermill), and regional productions of Spamalot, Drowsy Chaperone, Thoroughly Modern Millie, and 42nd Street. Brian also appeared in HBO’s “True Blood.” All my love to my wife Dana and our beautiful son Shane.